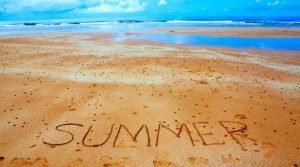 Why is summer such a powerful and uplifting time? Summer, for most people, is the best time of year. It brings thoughts of suntan lotion scented like coconut, BBQ’s, flowers and gardening, the sound of the waves at the beach and getting outside to meet new people. We prepare for summer all year long by working out, eating healthily, and scheduling vacations with family. Having something to look forward to creates a sense of anticipation and puts most people in an optimistic mood. Here are some ways to make this summer the best one yet. Throughout the winter months, we have so many time restraints due to the limited daylight, work overload and family demands of school and activities that we can’t breathe. This summer, try not to overschedule yourself and your family. Leave time to just relax and enjoy the beauty around you. Sit outside and watch the sunset. Let the kids chase fireflies and just go with the flow. Planning vacations in the summertime is stressful. 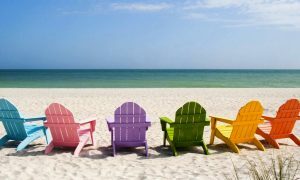 Getting to that beach house involves scheduling, packing, preparing, traveling, and once you get there, unpacking, still preparing, and for moms, cooking and cleaning, just like at home. It is not a true vacation for her. Instead, why not do a staycation this summer? Spend your days visiting local museums, beaches, restaurants, amusement parks, etc. Make it a rule that you are only cooking dinner a few nights per week. Order in, go out to eat, or let dad fire up the BBQ. Often, your library has free passes for many local attractions, which will help save time and money. Groupon is another way to reduce the cost of expeditions. When we are out and about during the summer, it seems like people are friendlier and more animated. While listening to an outdoor band, people are relaxed and looking to mingle. Those people sitting next to you at the wedding reception are ready to converse and party. In the summertime, most of us put off thoughts of networking for their business until the fall. Even though we are more relaxed and try to avoid the business talk in the summer, remember to grab that business card or jot down that name and number. This way you will have a slew of new contacts come September when you are back in full business mode. As we are all told, the sun is bad for your skin and your eyes. We are also told that vitamin D is a necessity. Having that sun exposure definitely puts you in a better mood and most of us think we look better with a touch of bronze. Plan your time in the sun carefully using sun screen, a hat and UVA-grade sunglasses. For some, a self-tanner done right can give us that sun-kissed look. Take advantage of the delicious garden fruits and fresh vegetables available in the summer. If you are going to have that BBQ burger and hot dog, eat half the bun and make sure the side dish is a healthy salad. Get outside and move around. Volleyball at the beach, swimming or a game of tennis or golf doesn’t feel like “exercise” in the same way as the gym does during the winter. After being out in the fresh air you are sure to have a good night’s sleep in a cool air-conditioned room. Time seems to fly by faster in the summer. Seize the moment and make every day count. Having a positive and powerful summer will refresh and invigorate you to handle all the futur e will bring.